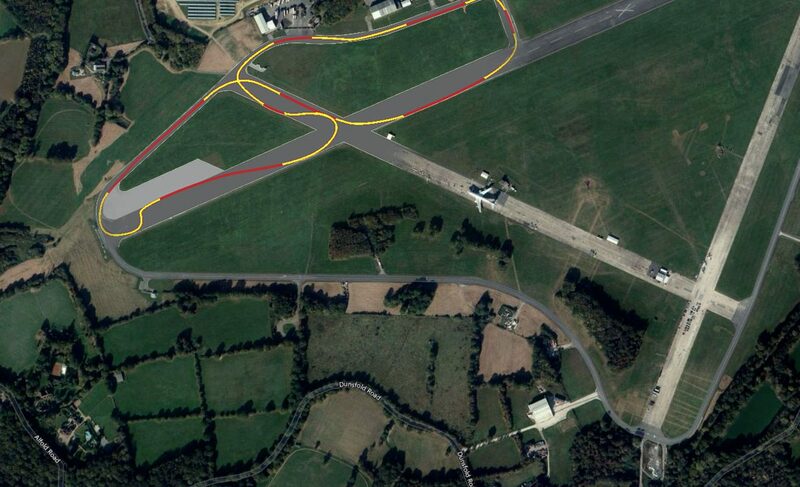 Track layout on current runway - note VTOL tethering pads next to "Hammerhead"
The BBC Top Gear track has been laid out on the main runway of the former WWII RAF and RCAF air base. 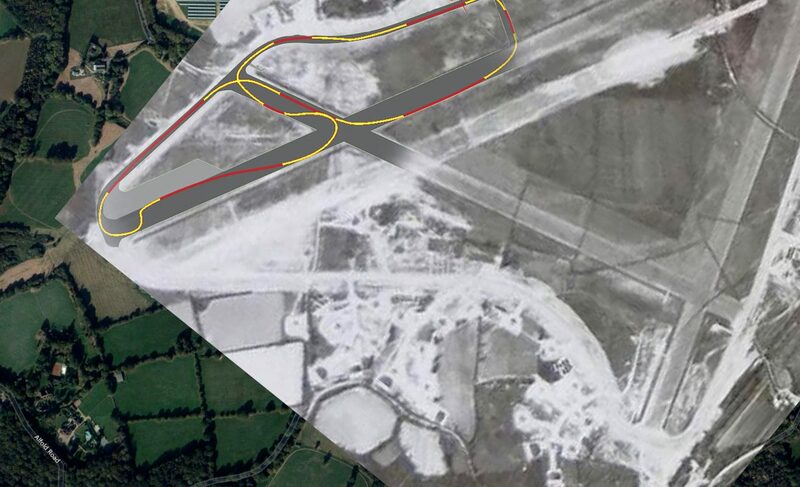 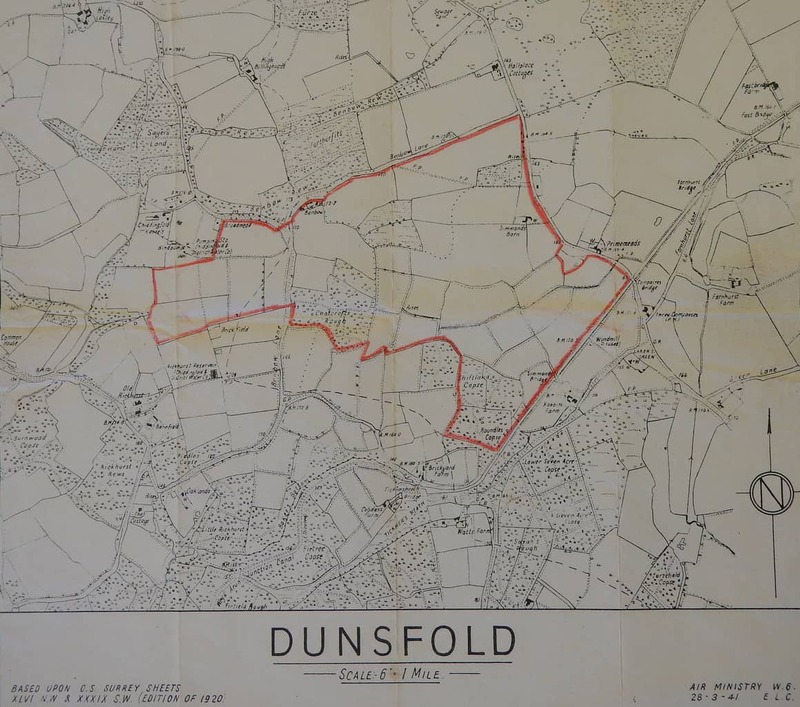 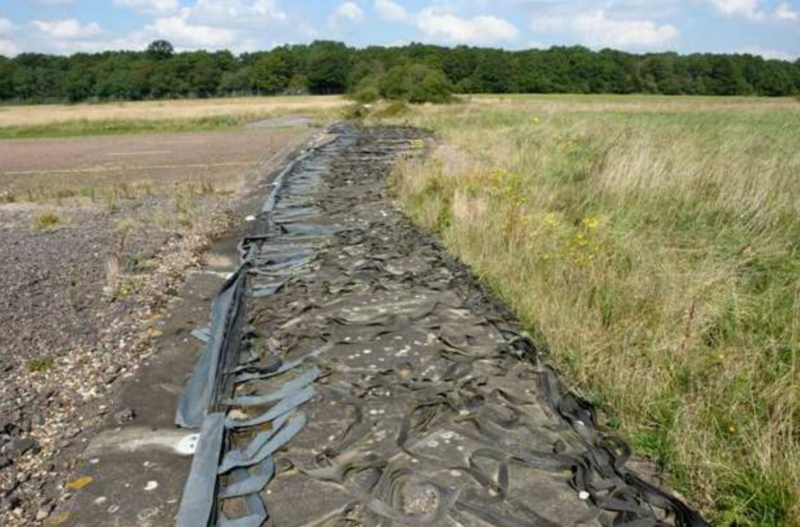 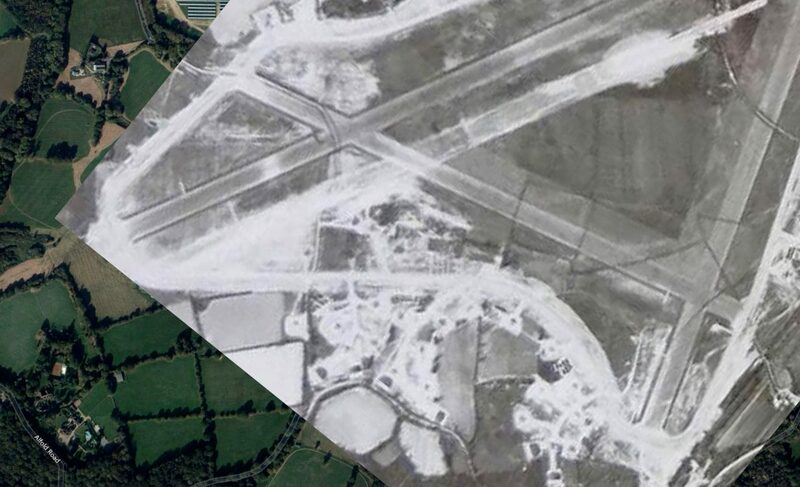 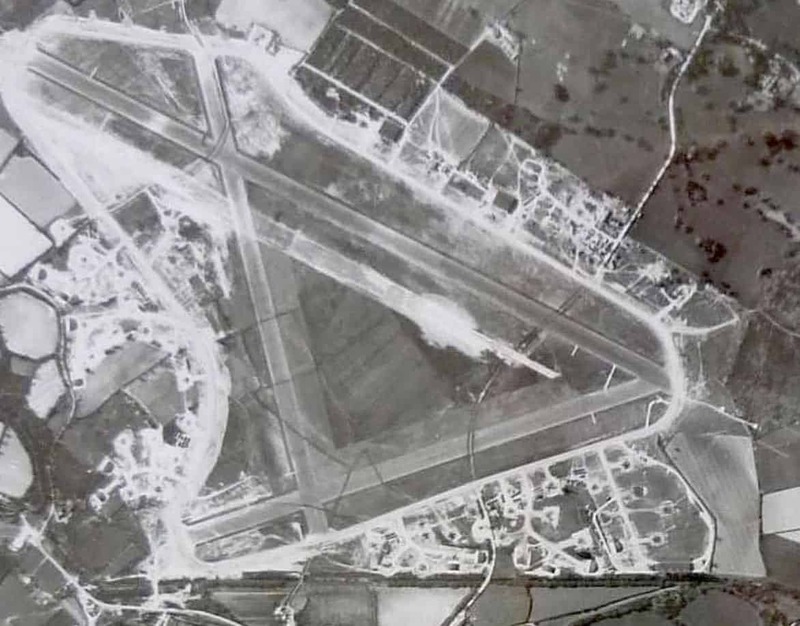 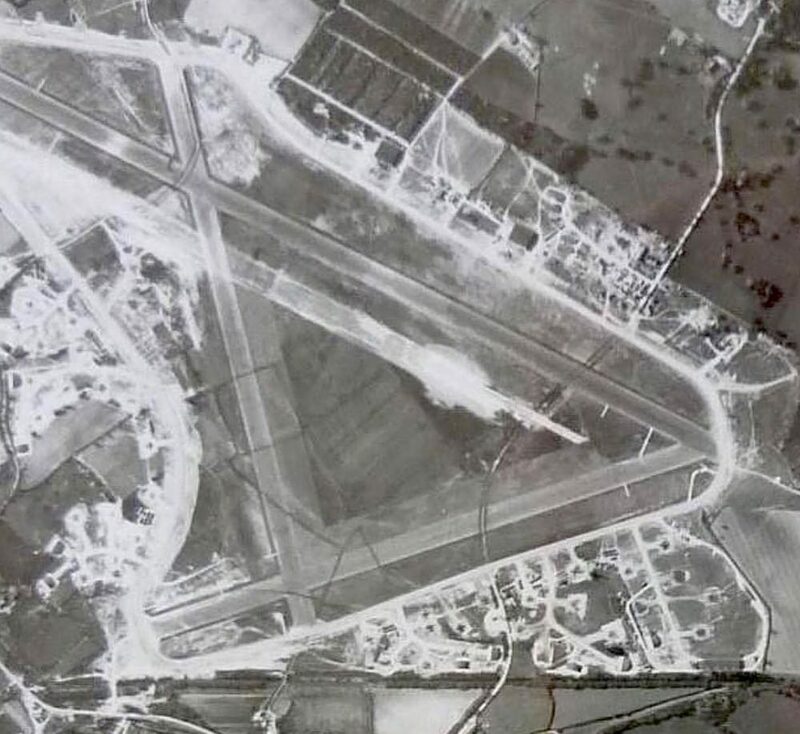 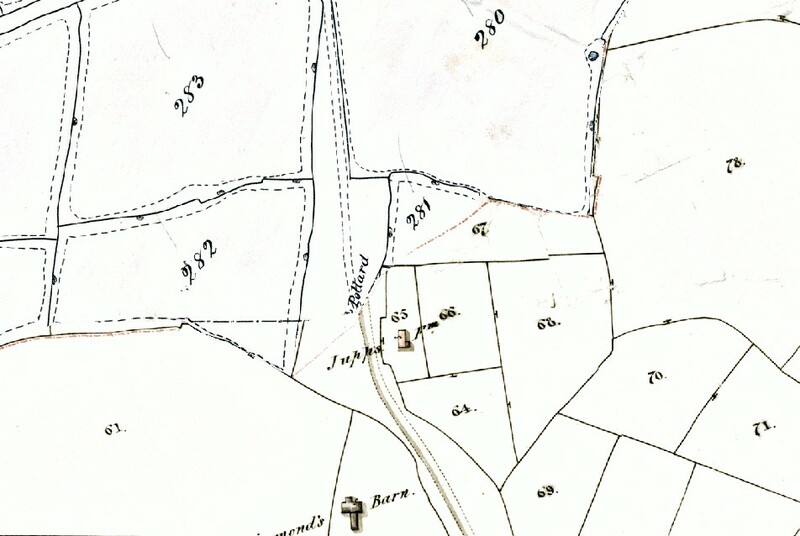 The perimeter roads used for Gambon and the finish line were laid over the route of original B-Roads that were ripped up when the airfield was constructed in 1941. 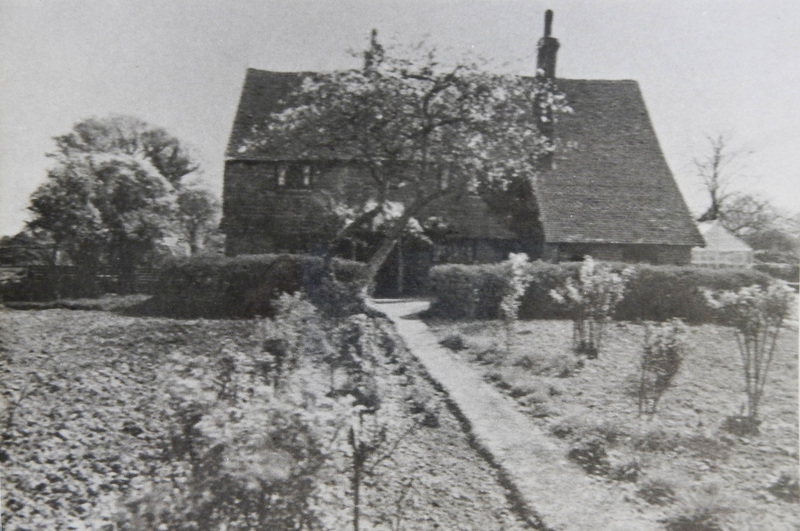 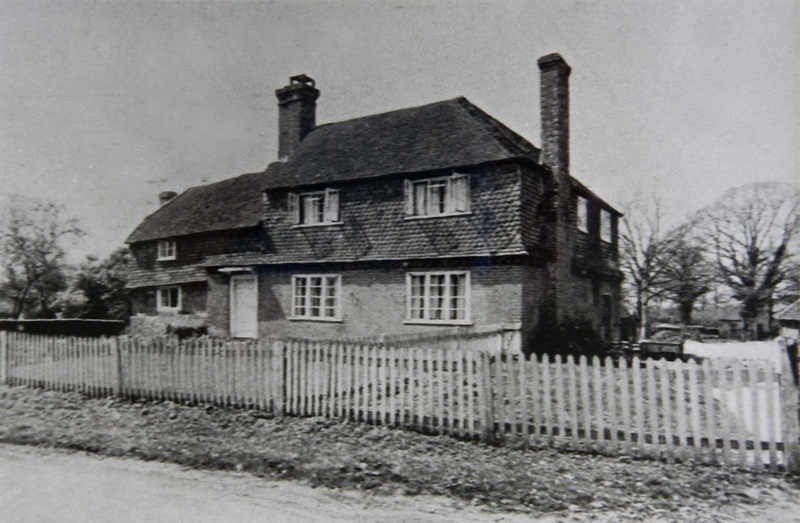 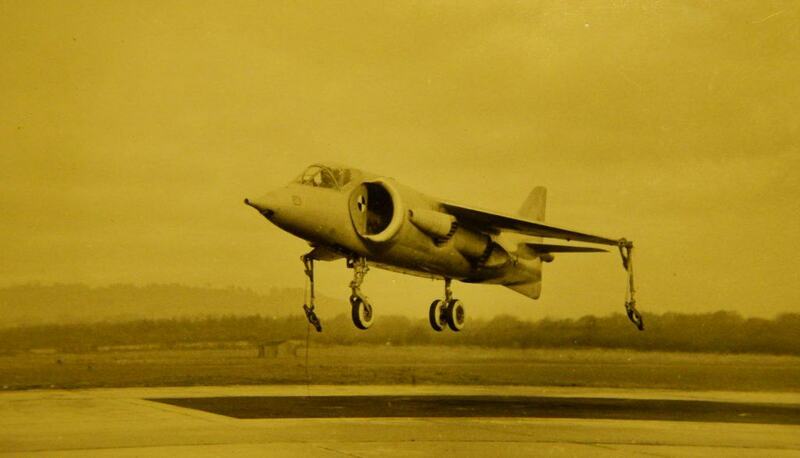 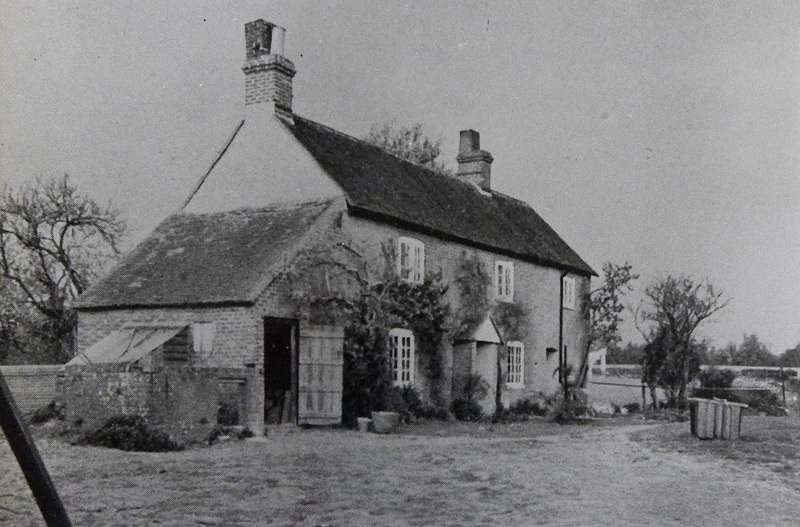 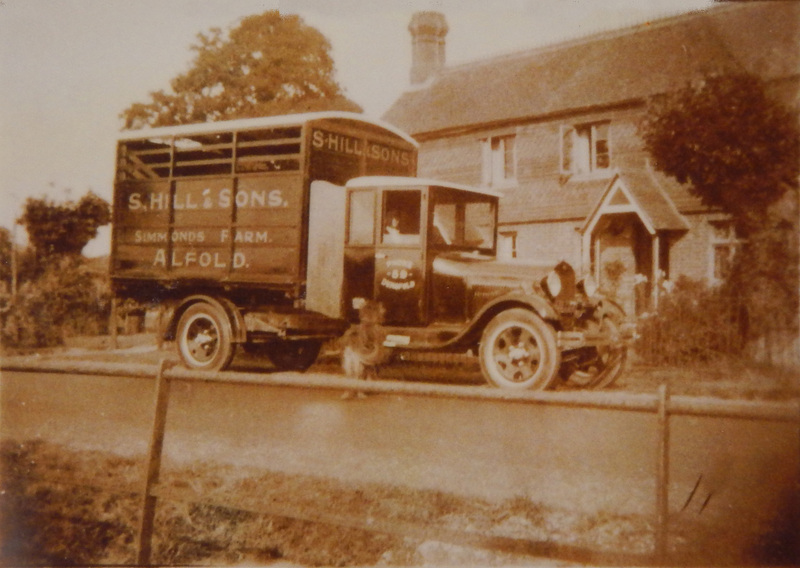 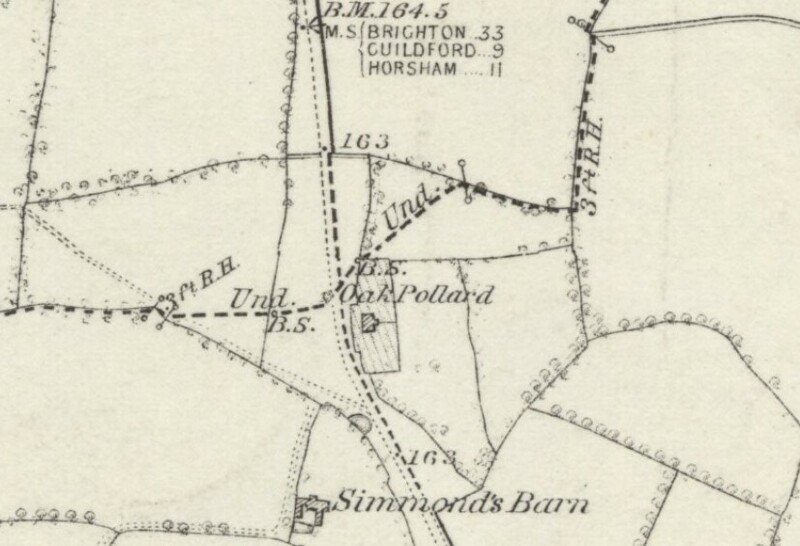 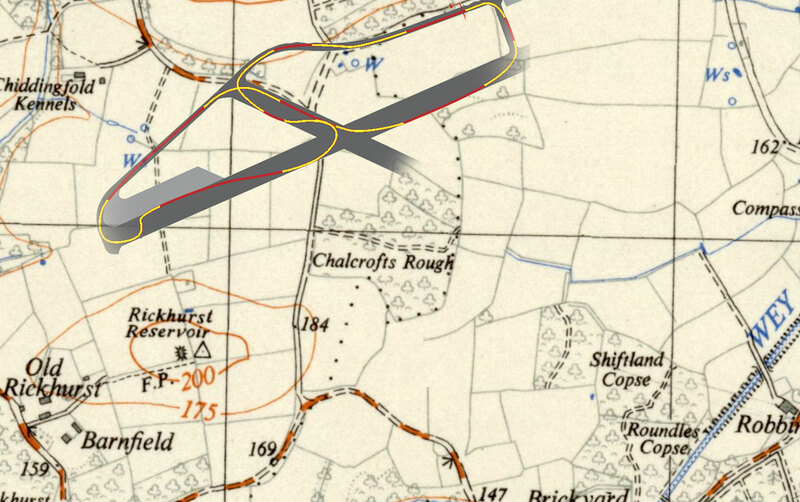 One cottage, Broadmead, was situated where the TopGear FollowThrough is now, but the cottage was lifted whole and winched half a mile on rollers to the otherside of the airfield. 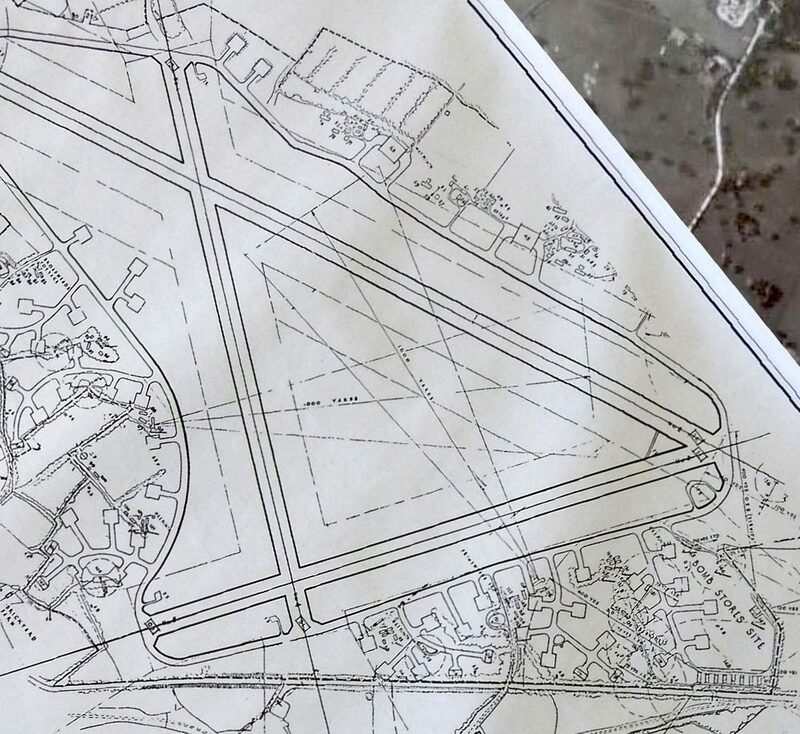 It is a rare feature that all three runways survive at their original lengths and are connected with a complete perimeter track with at least 75% of the aircraft hardstanding. 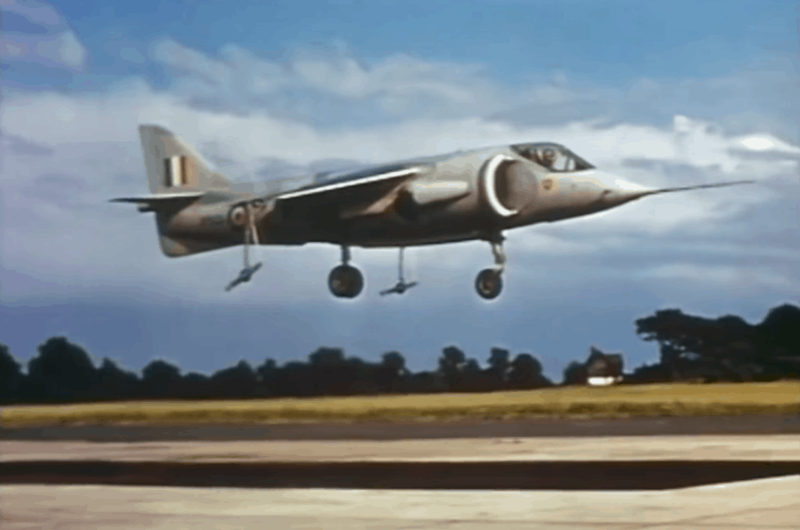 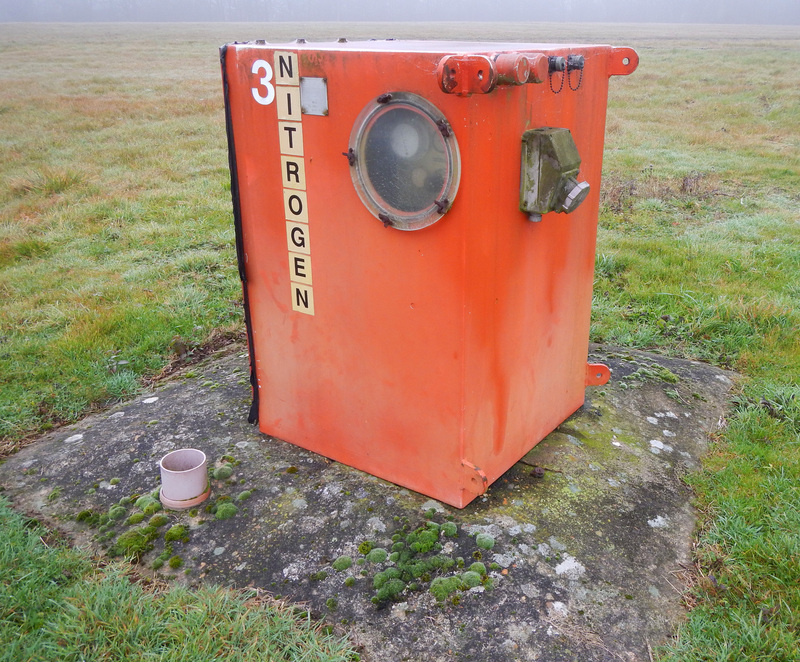 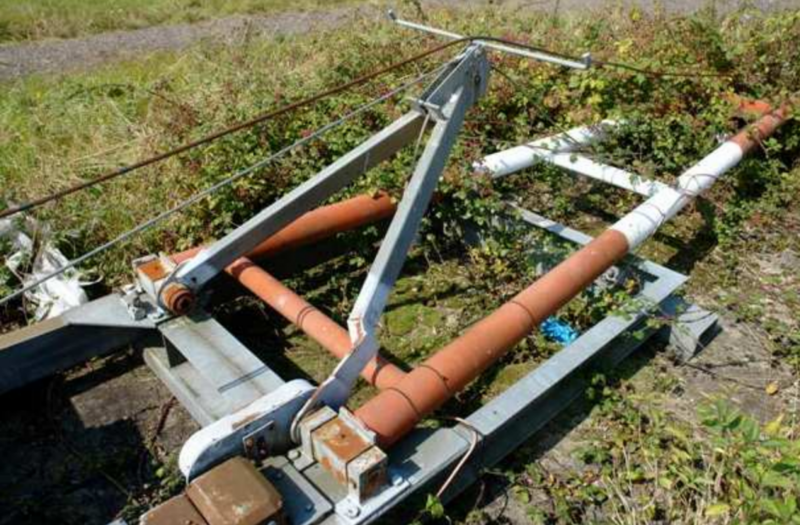 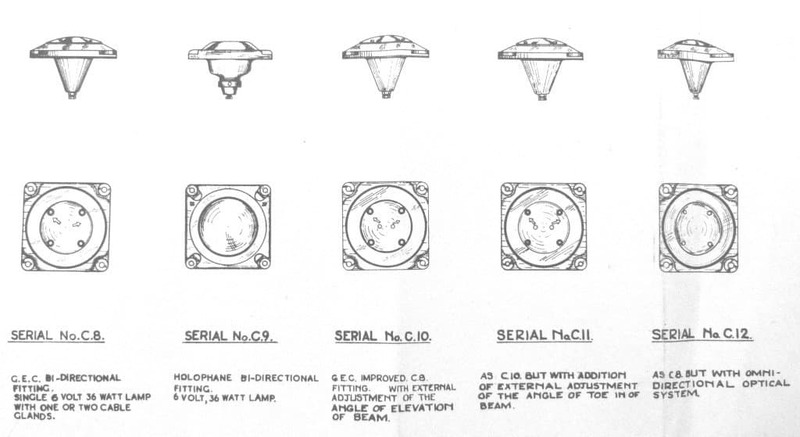 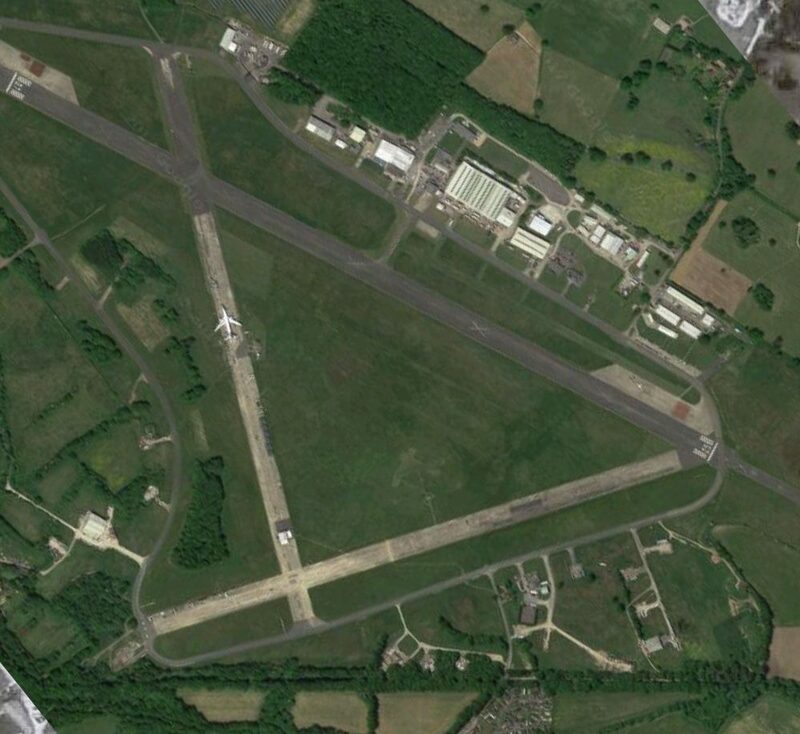 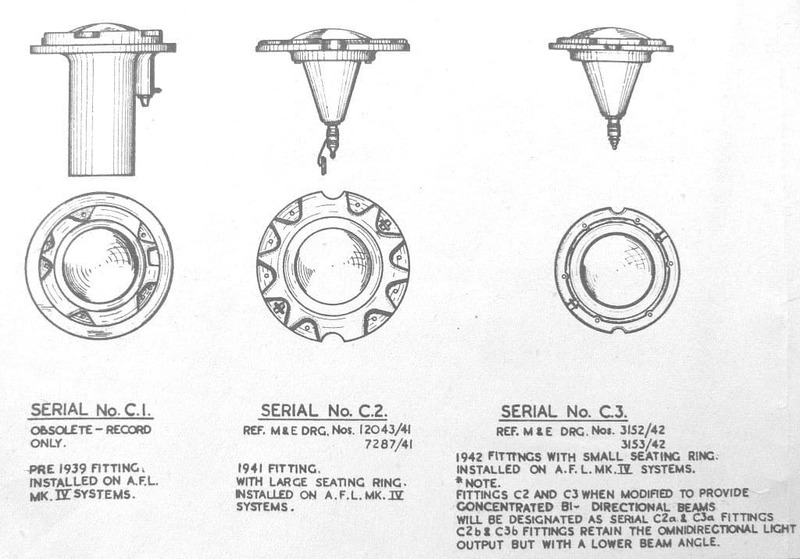 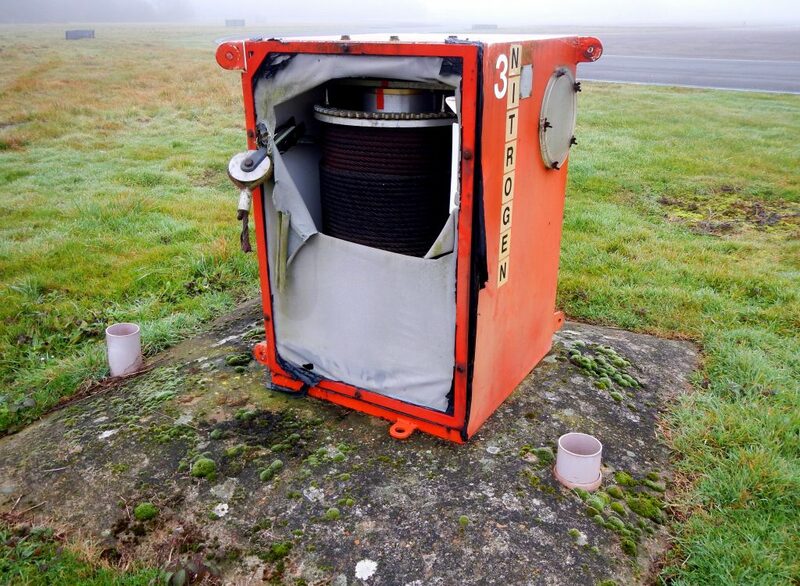 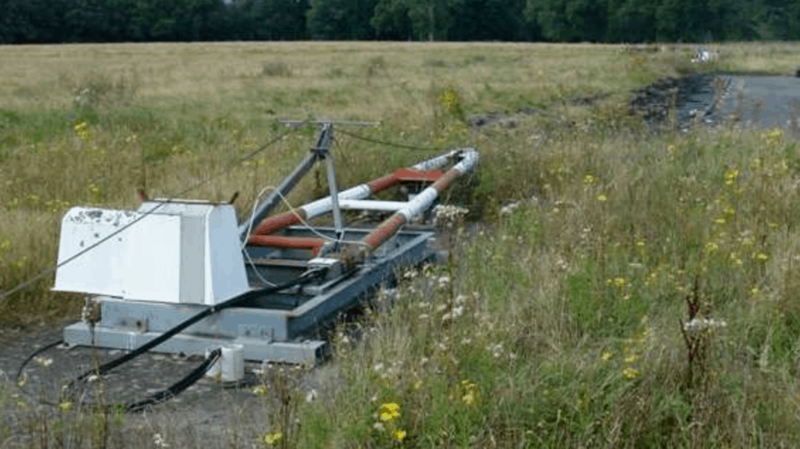 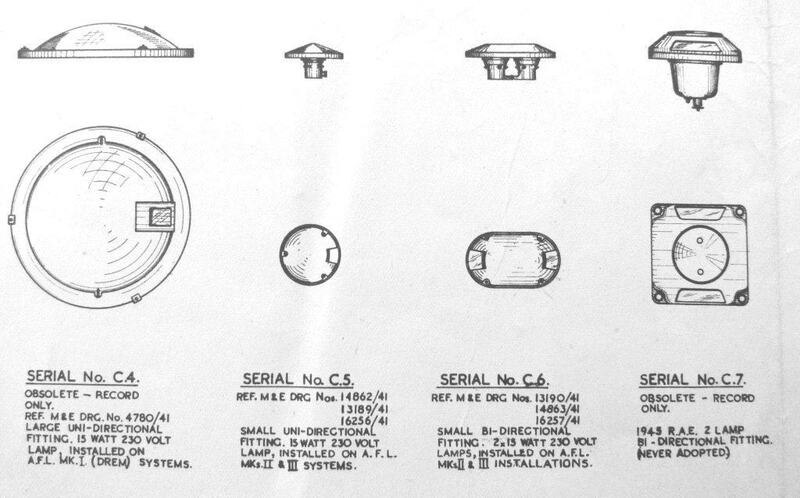 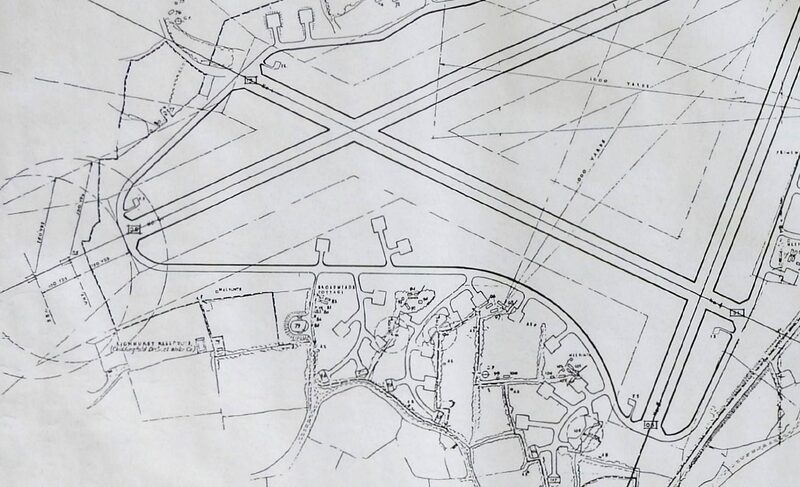 Two runways are much rarer than others elsewhere in the UK as they have a large number of the Mk II airfield lighting fittings intact, together with the cast-iron drains and French drains along each side of the runways. 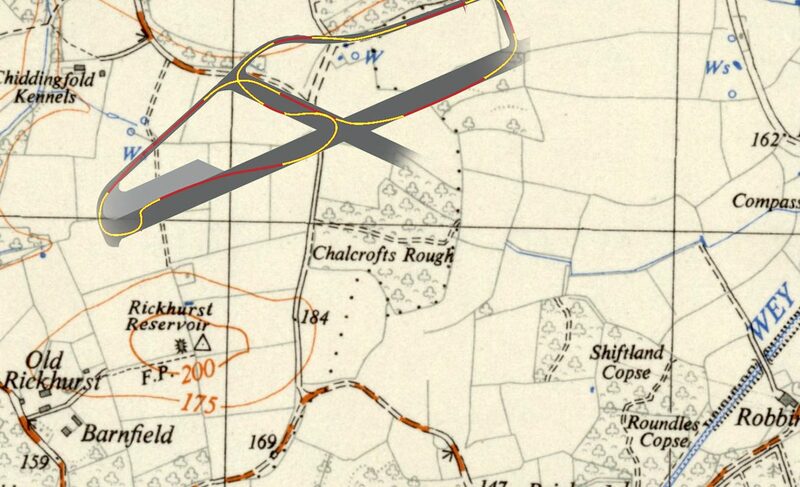 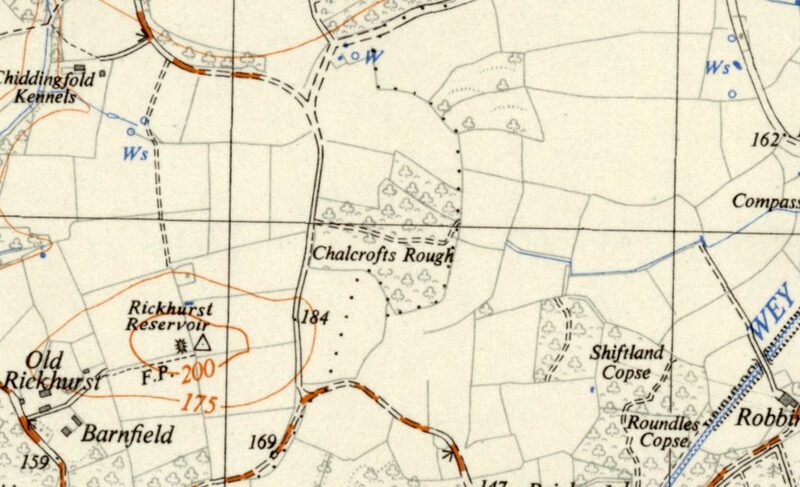 Around 1942 but note and contrast the parallel “runway feature” alongside the main runway. 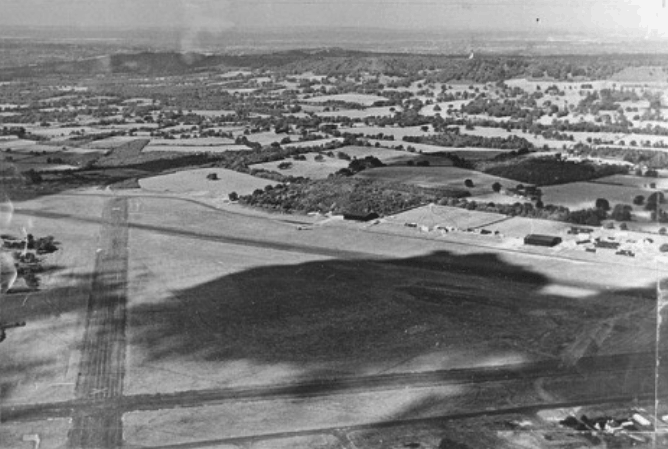 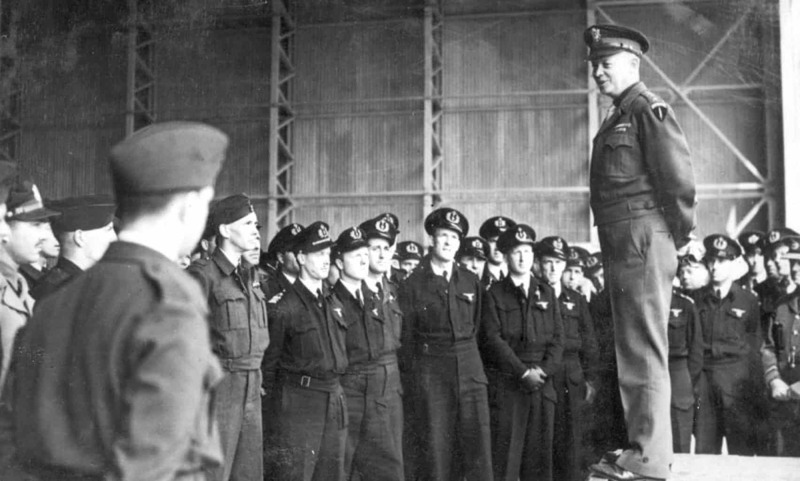 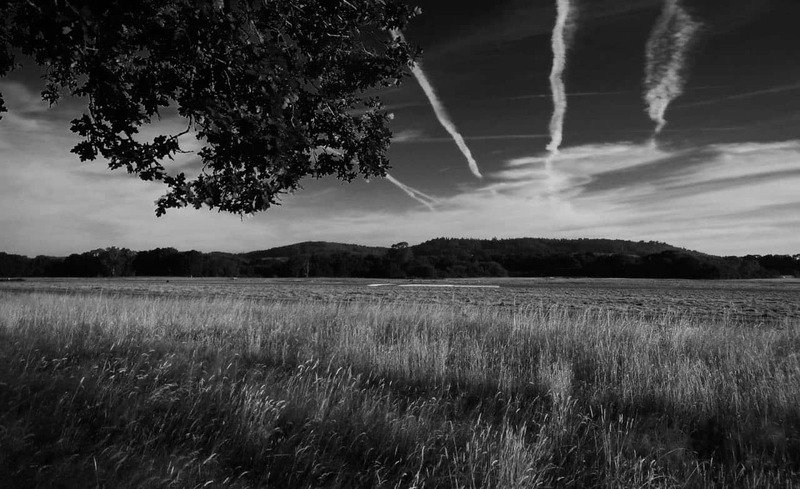 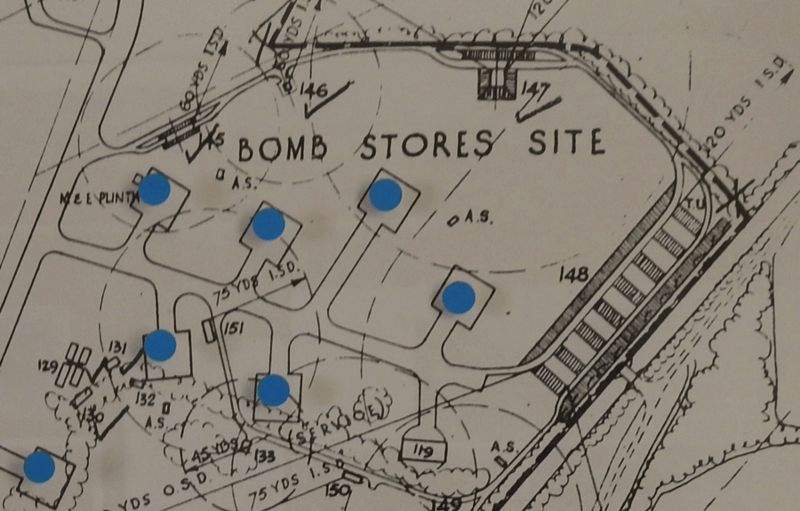 The runways were constructed for a Class ‘A’ bomber airfield. 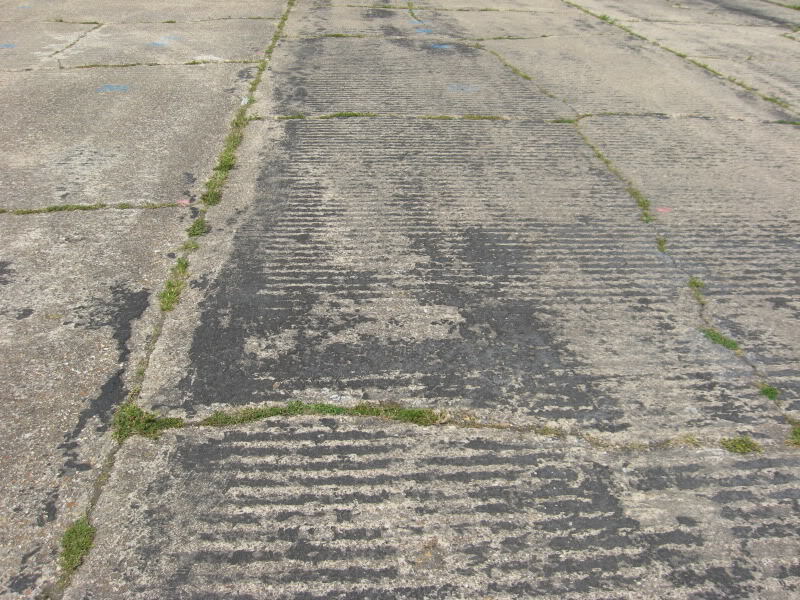 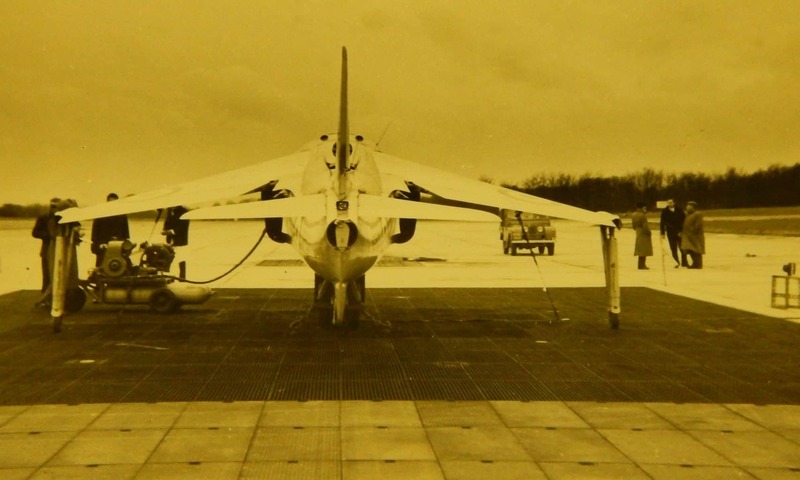 The white concrete of the runways and perimeter track were sprayed with a mixture of tar and wood chippings. 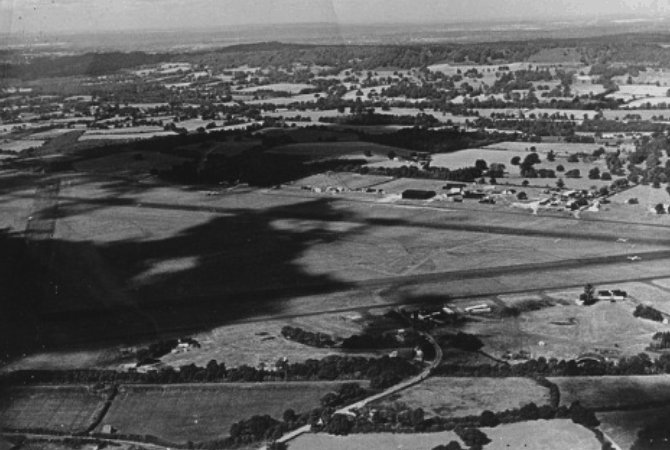 This dark textured finish was optically non-reflective and from the air closely resembled grass. 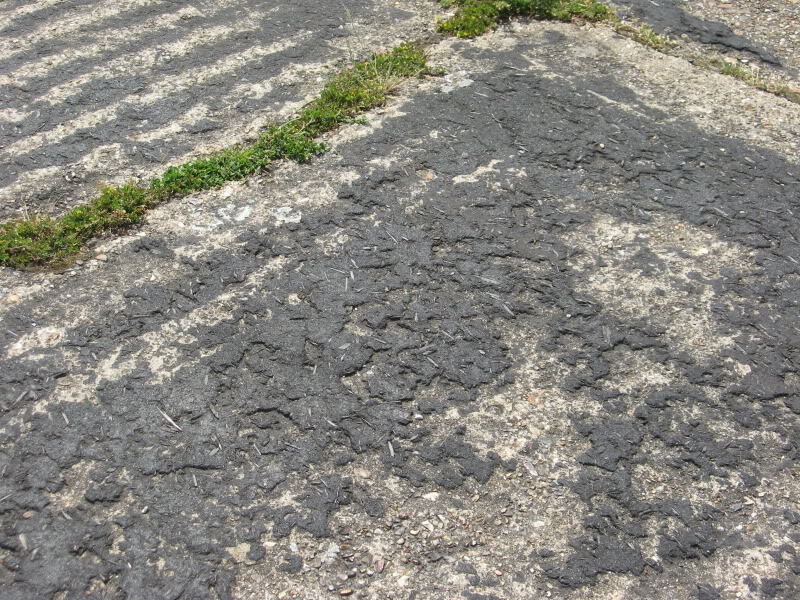 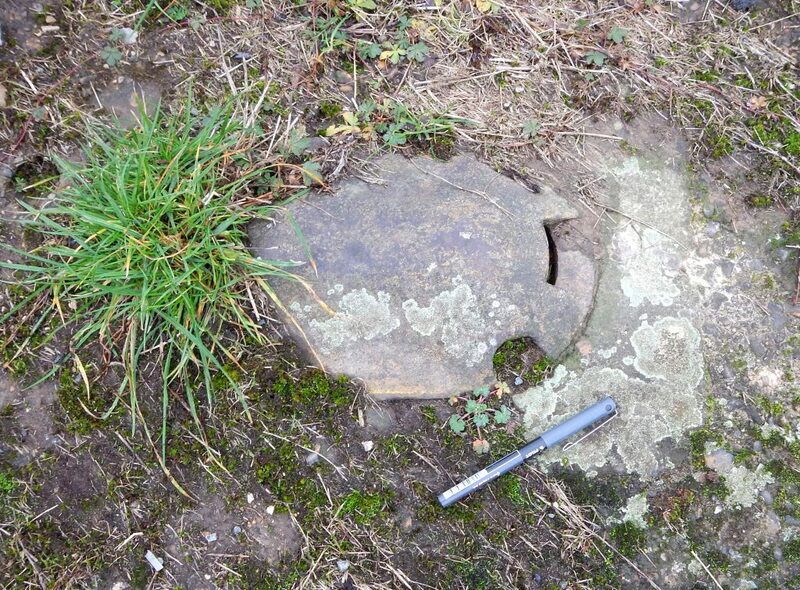 The chippings also added extra surface grip without damaging the aircraft tyres.